Good experience, they made it easy. Was in and out. Car was nice than I expected and they were upfront about the whole deal. No pressure. Would recommend. I have never bought a car from a used car dealership before, so my expectations were low. And, being a woman, I was very leery as to how I was going to be treated. My daughter found Kareem as she was looking for a cheap but good car. I have to say, she made an excellent choice! Not bad for a newly-turned 18-year old!The cars are very reasonably priced, in good condition, and everything about their inventory is transparent. Everyone that works there is nice, extremely helpful, knowledgeable and there's no BS! Exactly what we needed.Lastly, Dom was terrific to work with and an all around good guy.Terrific experience all around and the car we bought is awesome! I have never bought a car from a used car dealership before, so my expectations were low. And, being a woman, I was very leery as to how I was going to be treated. My daughter found Kareem as she was looking for a cheap but good car. I have to say, she made an excellent choice! Not bad for a newly-turned 18-year old! The cars are very reasonably priced, in good condition, and everything about their inventory is transparent. Everyone that works there is nice, extremely helpful, knowledgeable and there's no BS! Exactly what we needed. Lastly, Dom was terrific to work with and an all around good guy. Terrific experience all around and the car we bought is awesome! Ricky did a great job for me! He helped me find a really great car and was really fair about the price. He helped take care of the loan with a local lender for me and was very knowledgeable in understanding the cars that he had available. Overall great experience! Best dealership in California. No pushy sales gimics or wandering voltures trying to get your attention. Looked for a vehicle for 2 weeks and I kept Kareem auto sales on my top 3 choices. 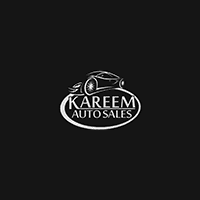 Finally went to test drive and checkout quality & prices and Kareem was the best choice by far. Very helpful and responsive team here, Sunny helped me out with getting a car and was very flexible and speedy in my time crunch! They heard my concerns and worked with me to ensure I felt comfortable making a purchase. And I am very excited to have my new 2010 Subaru forester:) Got it checked out at the dealer the next day and it is in good condition. I met with Kamal to test drive a truck and he seemed pretty calm and straight forward. I wasn't necessarily looking for a salesperson who is trustworthy (not to say that Kamal wasn't) I just knew what I wanted and I was knowledgable on the product I was purchasing. Kamal seemed pretty open and honest. I am confident that I got the best deal on the truck I drove off with. If I lived in Sacramento, there's a high likelihood I would purchase another vehicle from this dealership.